We’re excited to tell you that we’ve joined Keller Williams Realty, the largest real estate franchise in the world by agent count. 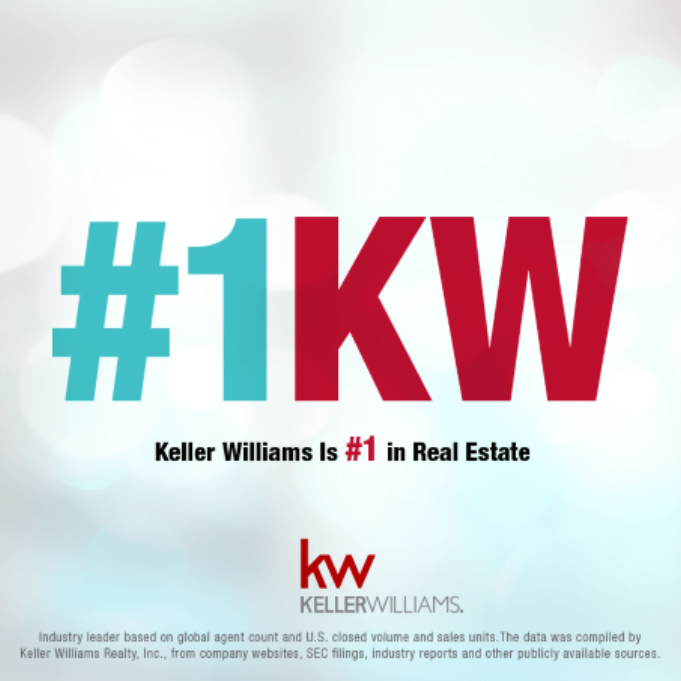 With over 700 offices and 120,000 real estate professionals worldwide, Keller Williams has the network and systems to give our clients an edge in today’s competitive real estate marketplace. We’re Shaking Up The Established Order. In an area where old guard real estate companies hold court, Keller Williams Realty is a refreshing alternative. Here’s one novel concept: Keller Williams rewards brokers for working together. It’s an incentive strategy that will benefit you as a client, because when you hire a KW agent, you are tapping into the skills and expertise of thousands who are motivated to help you achieve your real estate goals. We are much more than real estate professionals. We’re also highly trained negotiators, marketers, researchers and customer service experts. That’s why Keller Williams Realty is the chosen destination for agents fully committed to servicing the demanding and diverse needs of our clients. When you work with us, we’ll leverage the power of the Keller Williams network of more than 120,000 real estate professionals to your advantage. Plus, our proprietary online marketing system will market your property on more than 350 of the world’s more popular real estate search engines.